Product #1731 | SKU 322RS | 0.0 (no ratings yet) Thanks for your rating! Allows you to take photos in moment without moving your hand. 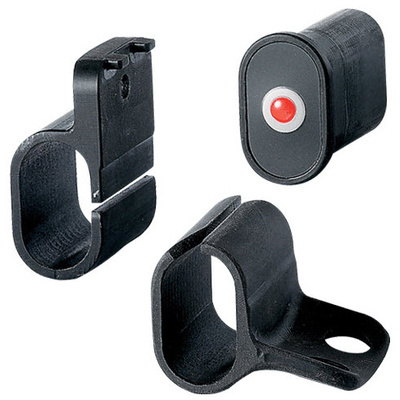 The Manfrotto 322RS - Electronic Shutter Release Button Kit fits the 322RC2 Grip Action Ball Head and puts control of your camera's shutter down on the head itself, so you can take photos the moment you're in position, without having to move your hand from the head grip up to the camera body. The 322RS can be fitted to the head no matter which position you choose to use it in, for both right and left handed photographers. Note: A camera-specific "motor cord" is required to connect between the 322RS button and the camera cable release socket. The 322RS has a "mini-jack" connection, and will accept Quantum FreeWire motor-drive cords.